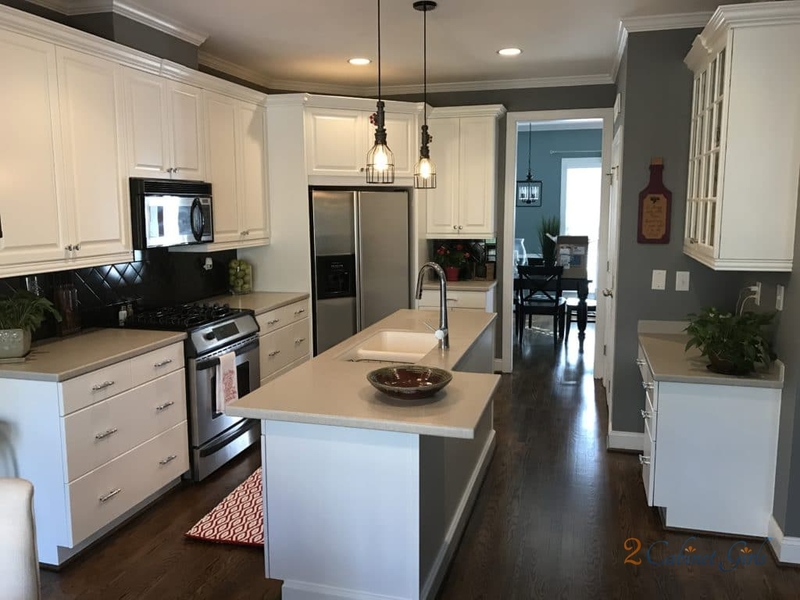 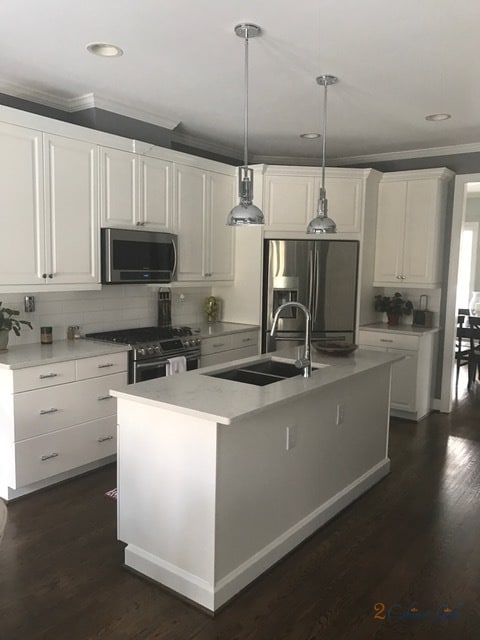 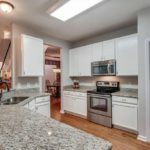 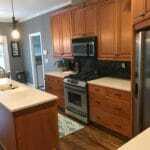 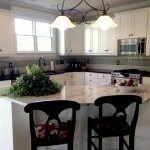 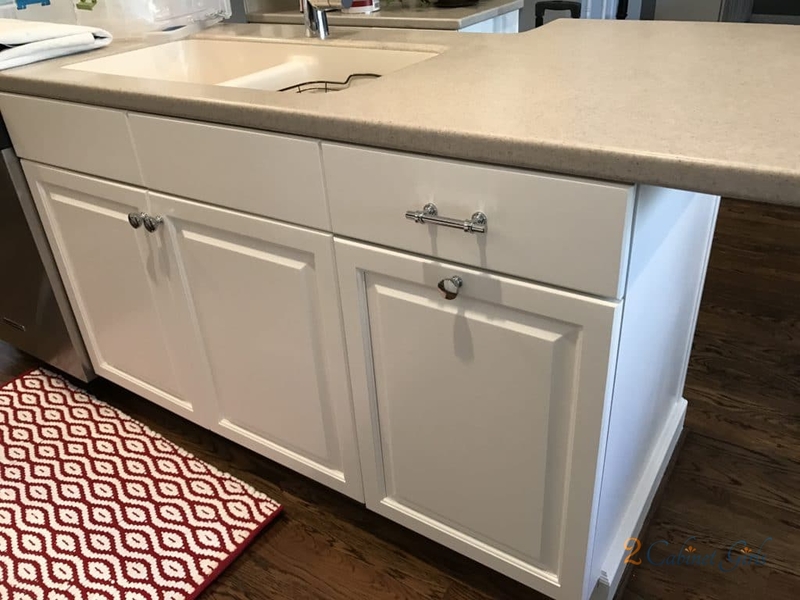 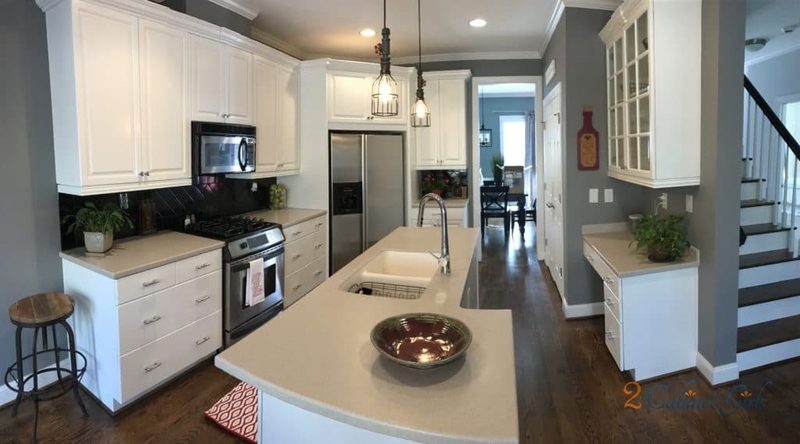 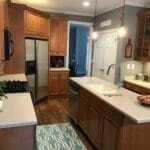 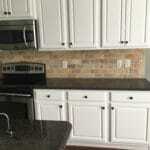 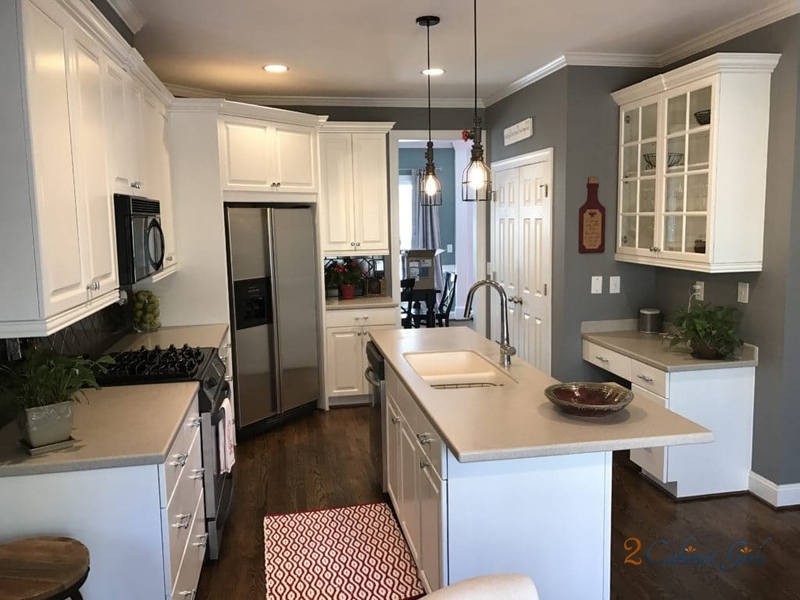 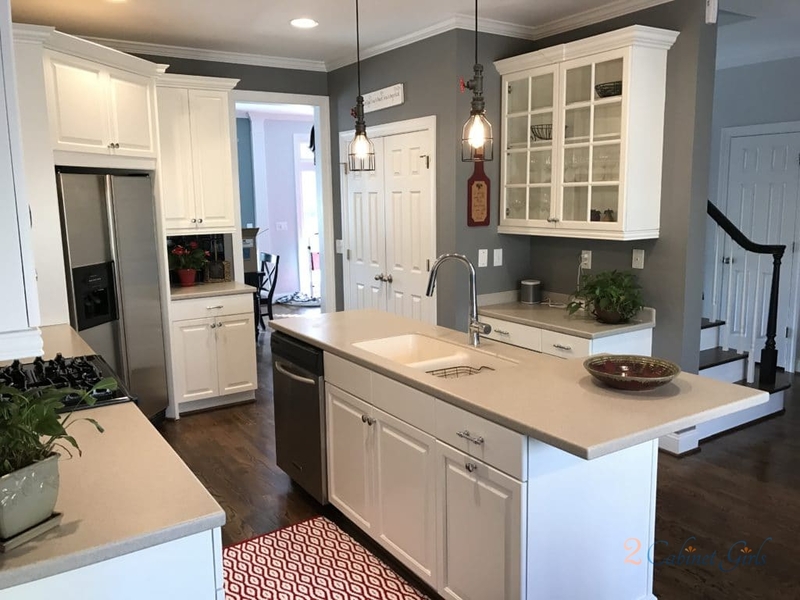 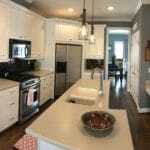 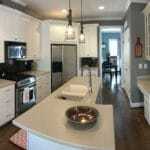 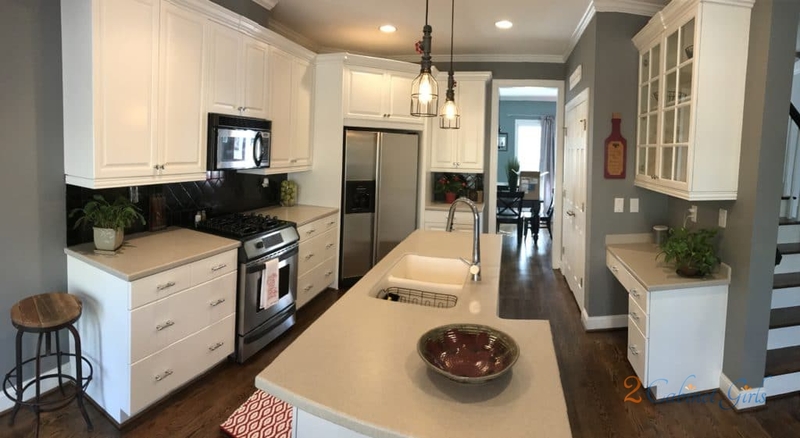 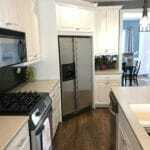 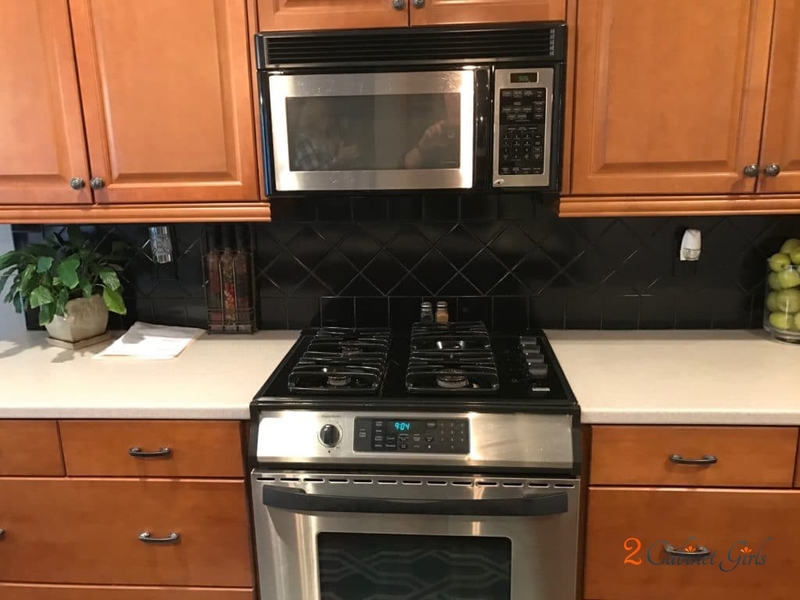 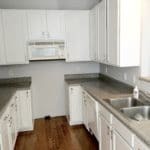 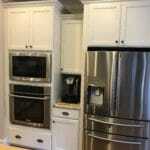 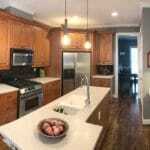 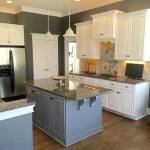 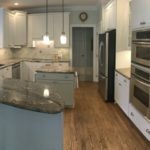 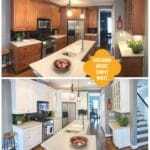 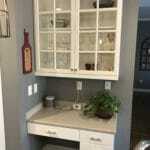 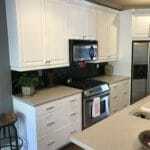 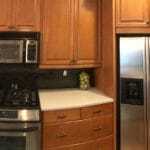 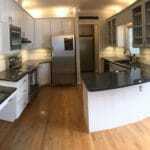 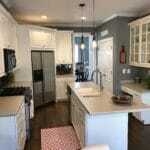 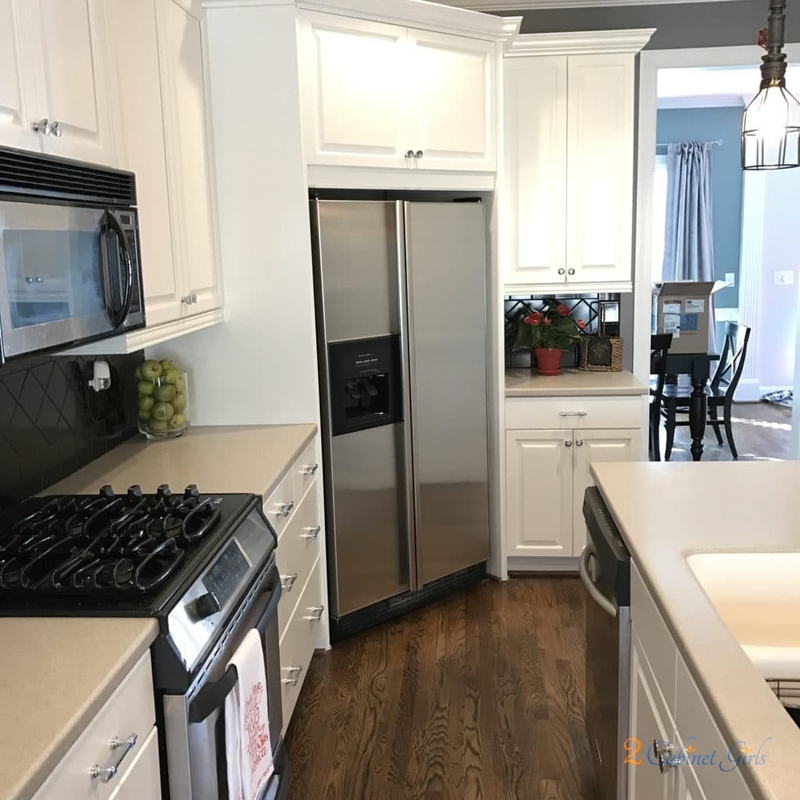 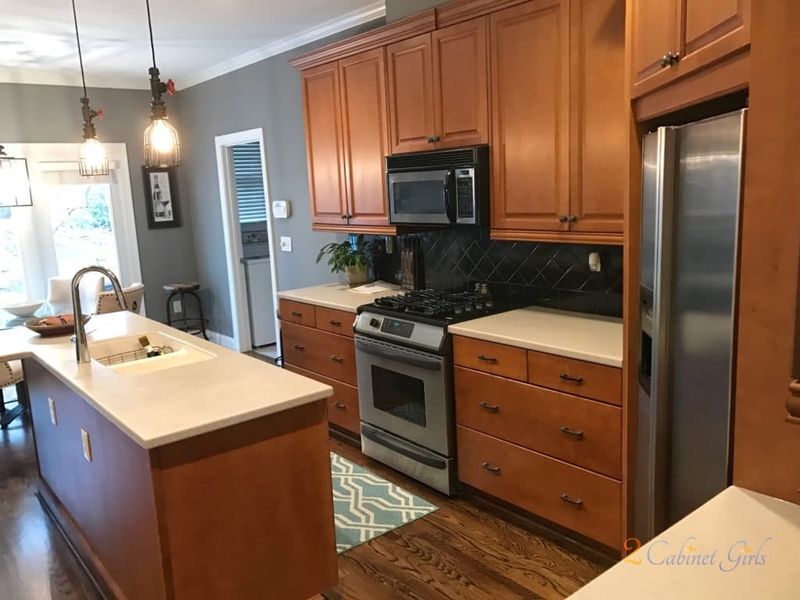 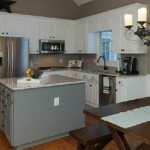 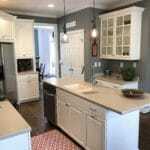 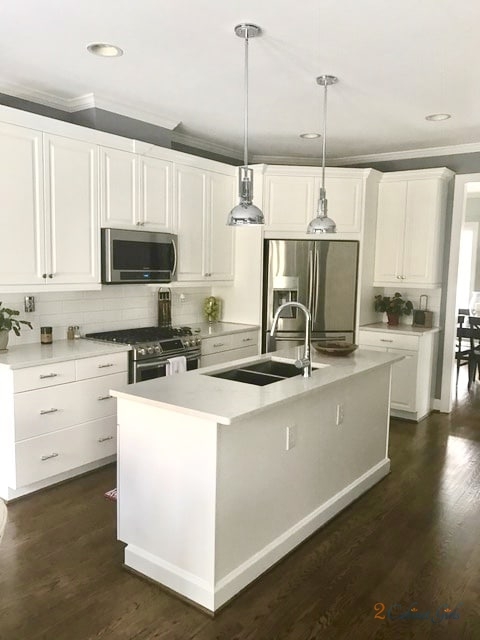 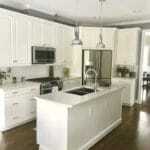 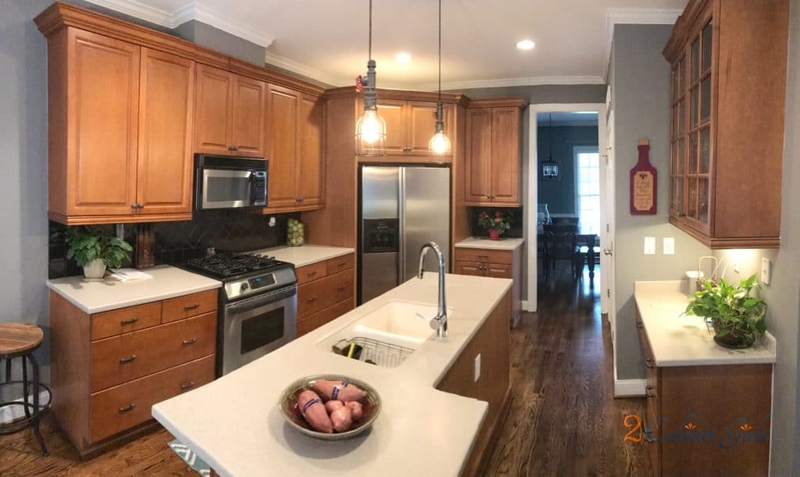 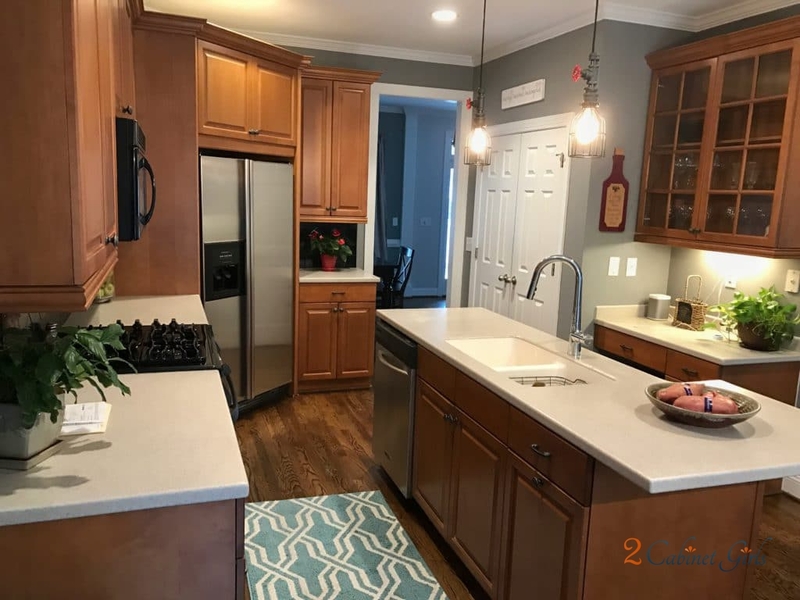 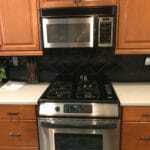 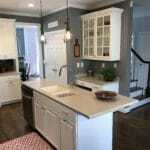 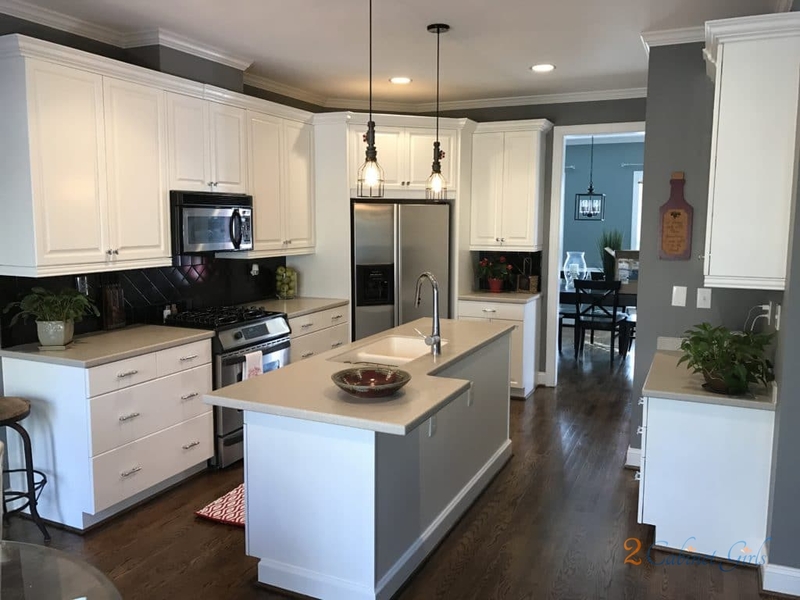 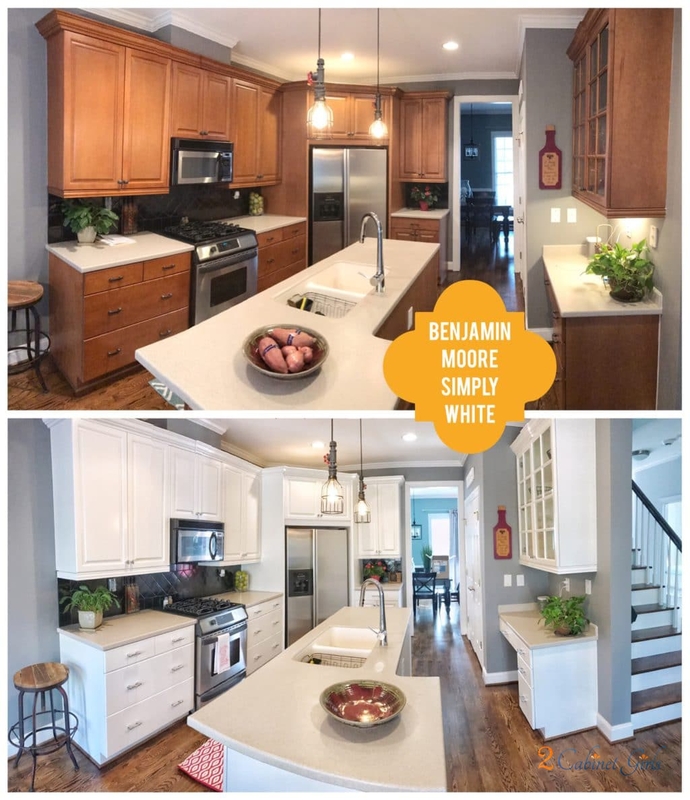 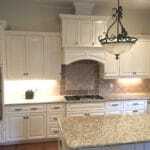 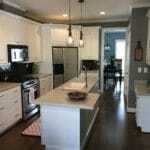 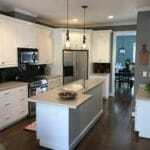 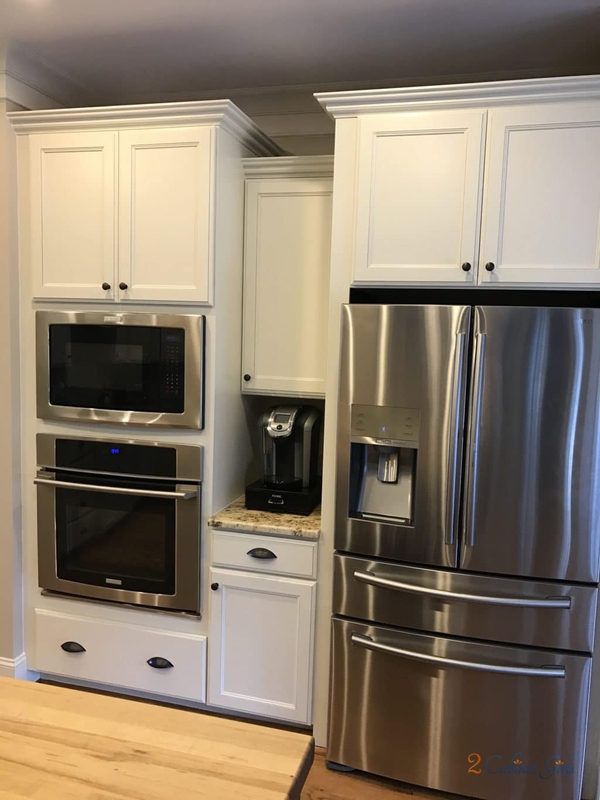 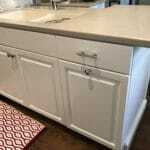 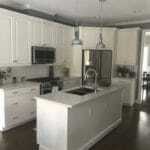 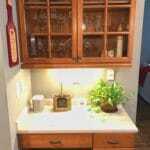 Our homeowners had just purchased this home and our task was to help them love their kitchen even more. 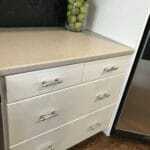 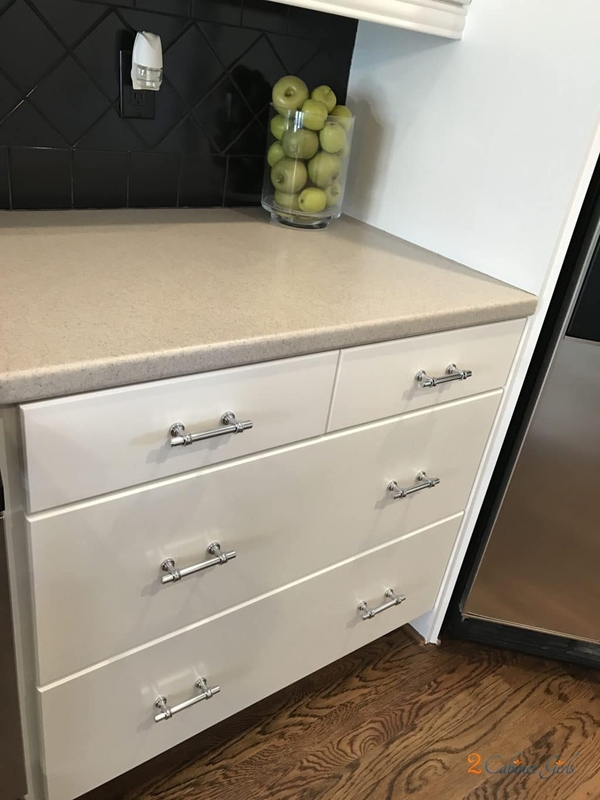 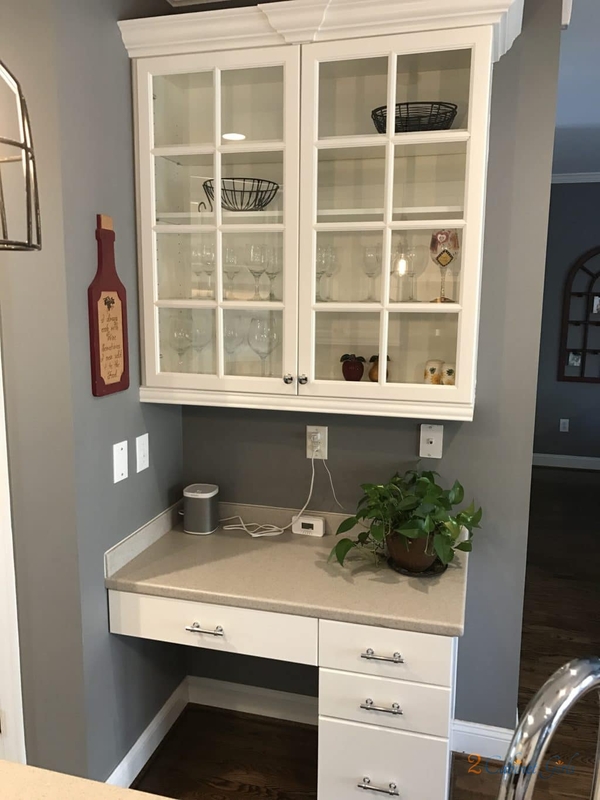 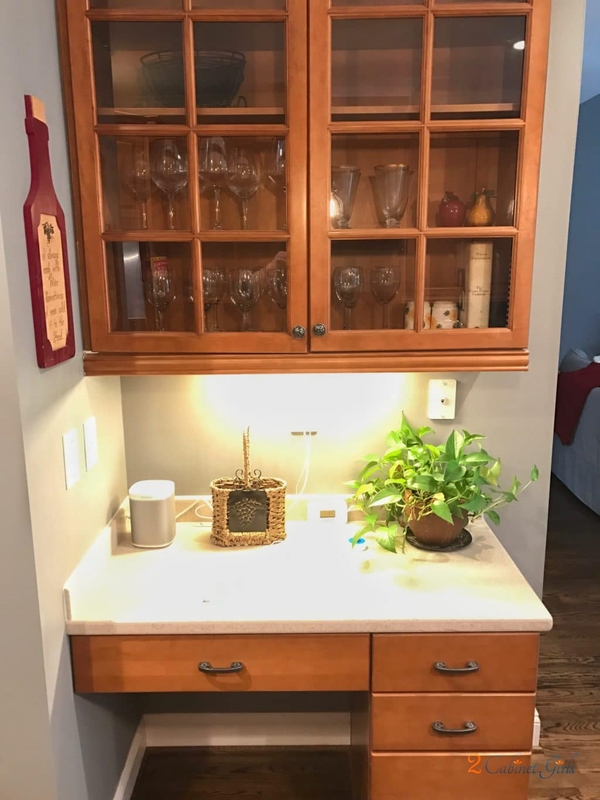 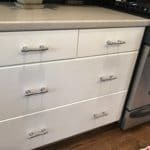 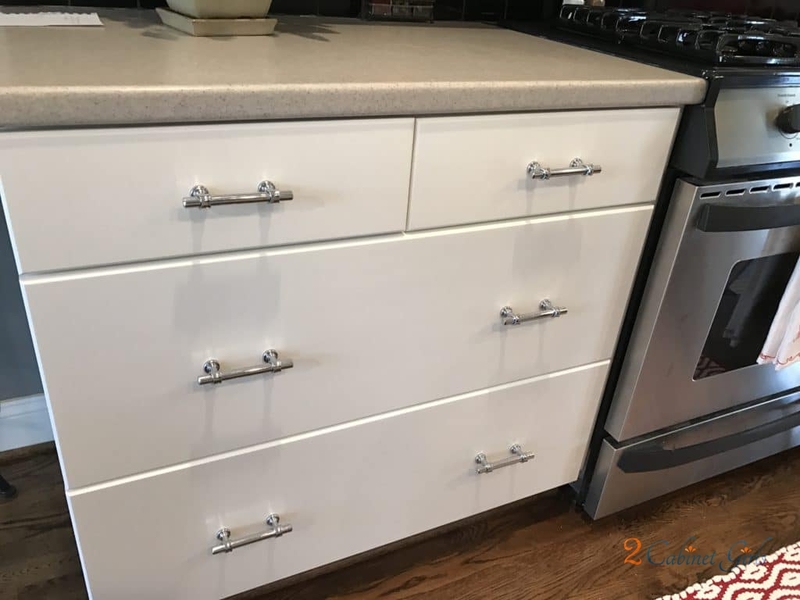 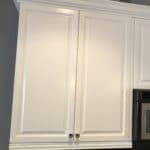 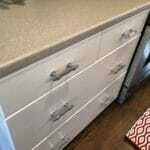 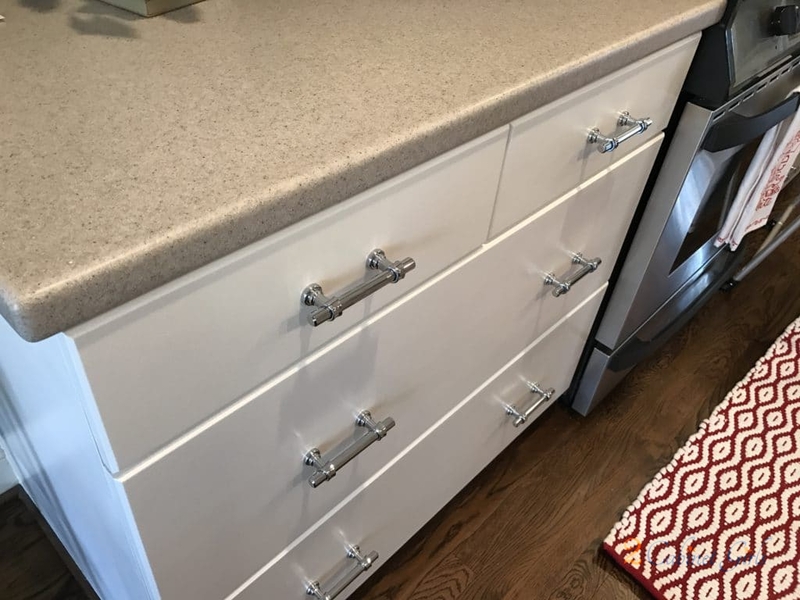 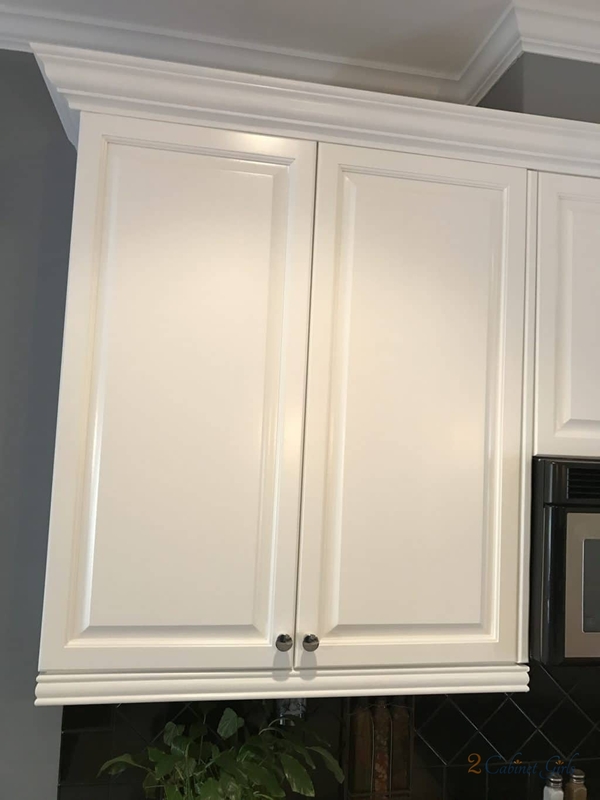 We accomplished that by adding Benjamin Moore Simply White to the cabinets. 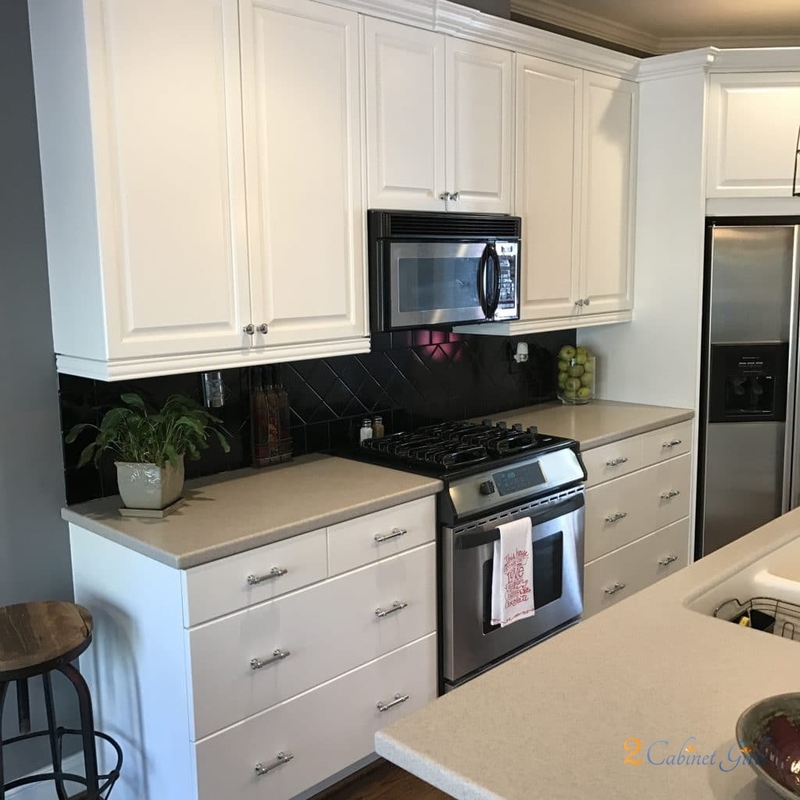 The warm white really brightened up the space and makes the newly refinished oak floors really stand out!